The first surprise I got was when I saw the boat. I had been expecting a small yacht – something adventurous with lots of ropes that would need pulling, decks that would need scrubbing, mutineers who would need keel hauling… that kind of thing. After all, this was a sailing trip and the name itself implies some challenges. But what greeted me was a large forty foot catamaran. A double hull, as they say in the sailing business (which I now consider myself to be an expert in, might I say!). The boat was obviously much larger than expected but the second surprise was just how comfortable it was. There were four cabins in the catamaran – one in the front and the back of each hull. Because of the make-up of the group I was in, that meant nobody had to share a cabin with a stranger (that’s a possibility depending on the size and composition of the group). Each side of the boat also had a bathroom with a toilet and a shower with surprisingly hot water and strong pressure. But the Gypsy Love did us well and the deck area provided a shelter from the sun. The sea breezes whipped a salty air around us and only occasionally knocked over an empty packet of biscuits or can of soft drink. In hindsight, it seems like much more time was spent sitting on the cushioned seats of the deck than manning the ropes and assisting with the sailing. The description of the tour had advised that you could do as much or as little work as you wanted. Even with only four passengers, there wasn’t much that needed to be done. Our captain, Adonis, had things under control and it wasn’t unusual to be rocked into a nap by the motion of the boat and wake a bit later to find us racing through the water, sails out. In some ways, this wasn’t a typical tour. It had the key principles of independent travel in the sense that the group on board made its own decisions about what to buy as supplies, where to eat, when to stop and even – when we were forced to deviate from the original itinerary – where to go. But with no set plan for each day, it meant the time was spent relaxing and enjoying the beauty of the Ionian Sea, rather than exploring or being particularly adventurous. 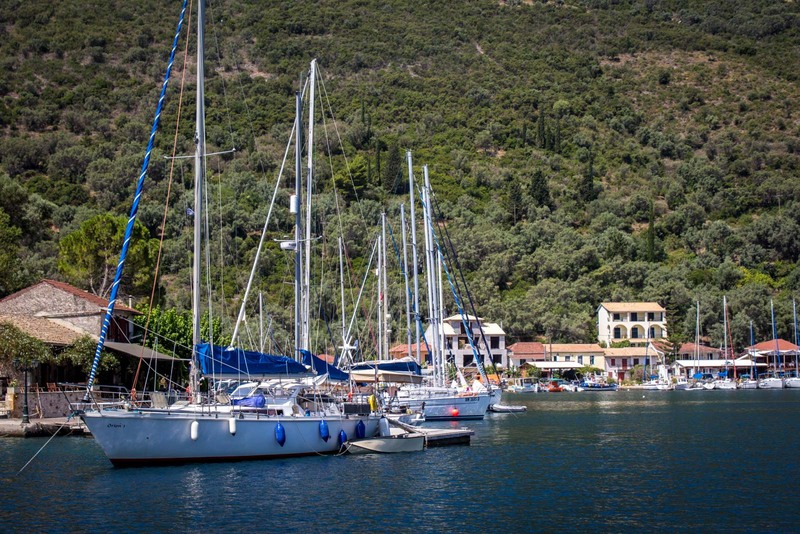 Ultimately the trip is something that’s perfect for people who feel like sailing around the Greek islands but don’t (or can’t) go to the effort or organising all the little details involved in renting and looking after their own boat. 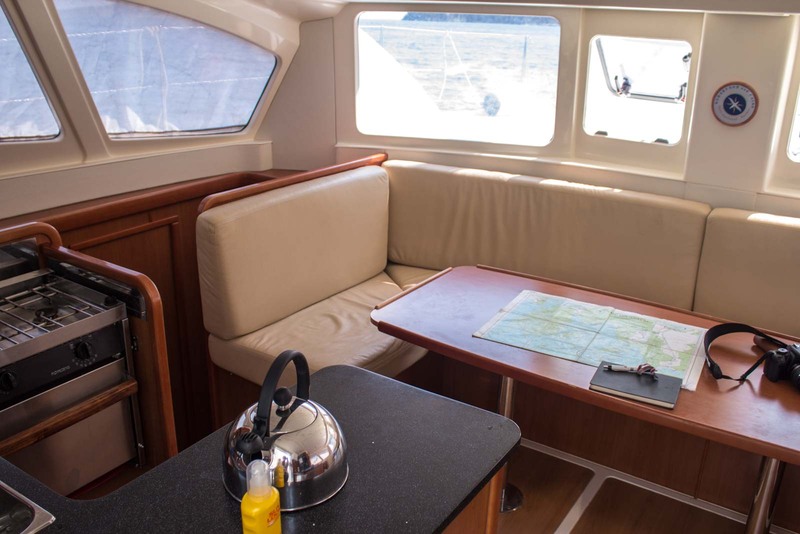 Those who are more experienced on boats might be better off doing their own thing but this allows you to have the experience with none of the hassle. Whether you’re on your own, in a couple, or a group, it would fit your plans. Having said that, the make-up of the group (with a maximum of eight) is unpredictable so that’s something you’d need to take into account. If you’re worried about being on a boat for a week with a bunch of strangers, it would be worth signing up with someone you knew. However, if you’re an independent traveller who still likes the company of others, there’s no option but to fit in here. You’ll be well looked-after regardless. Time Travel Turtle was a guest on Intrepid Travel’s Sail Greece – Ionian Sea trip but the opinions, over-written descriptions and bad jokes are his own. I once spent a day working a sail boat…That was my first and last… Great stuff, awesome looking catamaran. Only one day? That’s not nearly enough! You’ve got to get yourself back out on the water, sailor! Yeah, the combination works really well if that’s what you’re after. It probably leans more towards the luxury side than the adventurous one – but there’s plenty of time to do stuff independently. I wrote a paper about Greece in the 5th grade (1962!) 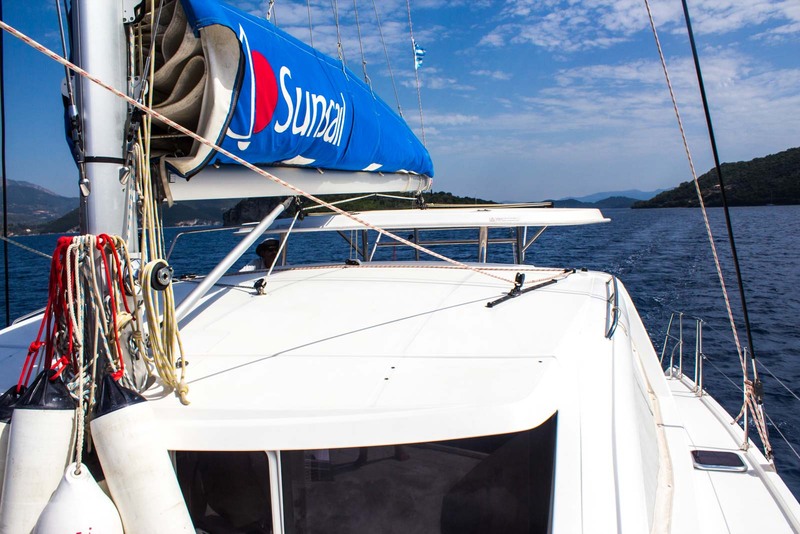 I still haven’t been there, but your article has got my itch up to visit the Greek Isles – especially on a sailboat! Thanks, Turtle. Always enjoy your adventures. Looks absolutely idyllic – great photos! ‘Idyllic’ is a perfect way to describe it! Wow – it looks wonderful, I would love to have such an adventure! The great news is that it’s not very hard to organise. Hopefully you get a chance to try it out for yourself! Hm.. really interesting. I would definitely need to sign up with a friend as I don’t always play well with others. I also get seasick sometimes so I am not sure I would do well for a week-long trip. That’s a shame though, as this sounds pretty cool. Ha ha… don’t be so hard on yourself! 🙂 It would be a lot of fun with a friend or two, though. Now that’s my kind of sailing! Pass the sunscreen and call me when it’s cocktail hour! Once a captain, always a captain, I hear. I’m sure you wouldn’t be able to just sit back and fall asleep. Sounds lovely – like a vacation from traveling! Sounds quite different to our Sail Turkey trip. We spent 2 hours under sail and the rest motoring about. Kind of pointless calling it “Sail Turkey”. But still, extremely relaxing. Well, I must confess that there was a fair bit of motoring around when there wasn’t much wind. It was amazing how much of a difference it made when the sound of the engine was cut off, though. Everything became so quiet! I have to admit that looks pretty awesome! What a beautiful “boat” and quite the amenities. Only thing that would worry me would be bad weather. However, it’s Greece so that probably isn’t too much of a concern. I would definitely like to try this out! I don’t think there is any bad weather in Greece in summer. At least, I’ve never heard anyone mention it. I don’t know how it happens, but it’s as if the forecast is almost identical every single day for three or four months! Not sure if I could deal with sleeping on the boat (seasickness is a curse) but I could sure get used to sailing without doing anything at all 🙂 I think Dani and I will have to check that out! I did a Cyclades sailing tour a few years ago. Our cabins were not that big and the shower was in the same spot as the toilet, so we did in fact end up just showering off the back of the boat (with fresh warm water from the boat, but still). This looks almost luxurious in comparison, but it was still an awesome trip. This looks similarly cool. I’d love to do this, but I really want to sail around Croatia and Albania to the amazing beaches only reached by boat. It’s beautiful to end up at these places where you don’t have big crowds and there are just a few local restaurants. It’s so different to the typical weekend trips to big cities.